Will and I use Free Reign Farm in our home every single day. 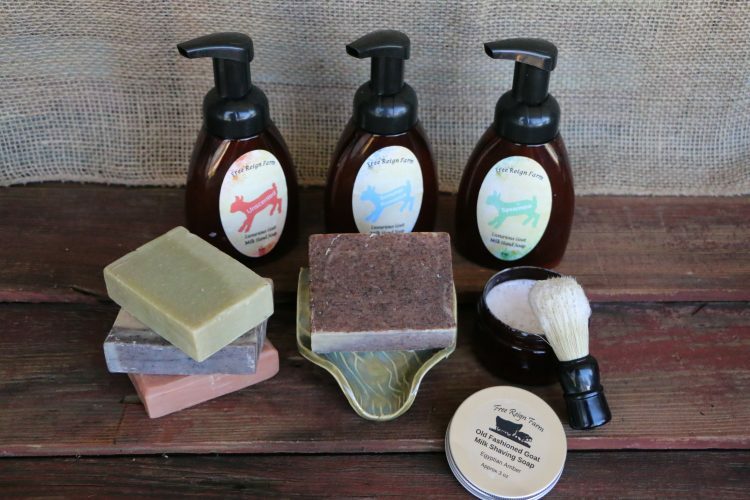 They offer a full line of clean, natural, quality products, including goat milk soaps, lotions, salves, laundry and liquid soaps, deodorant, herbs, and even clean burning candles and wax tarts! Will and I started using Free Reign Farm pure goat’s milk soaps in our home three or four years ago. We were introduced to the soaps when Free Reign participated in a giveaway week way back then. Little did we know that we would fall in love with the products so much that we would become raving fans! We now use Free Reign Farm products in our home every single day, and we love giving them as gifts as well! 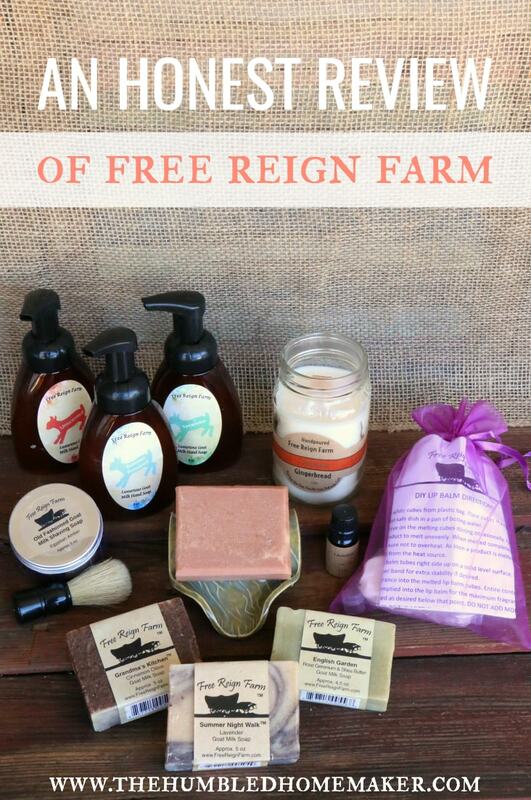 Free Reign Farm is result of a need for clean products and a whole lot of faith! 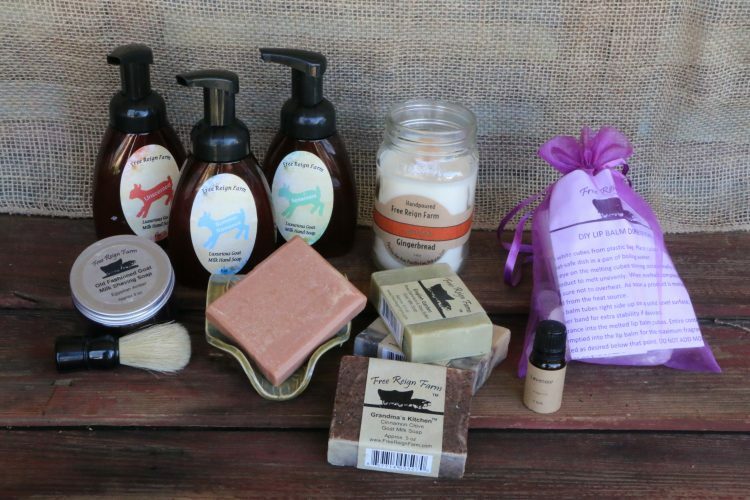 Started by a mama looking for solutions for her family, the company now has a full product line of clean, natural, quality products, including goat milk soaps made with essential oils, herbs, and over 36 percent real goat milk from the farm; natural shea butter lotions; herbals salves; laundry soap; deodorant; liquid soap; and even clean burning candles and wax tarts! But Free Reign Farm is being extra generous with my readers. EVERYONE can get a FREE bar of soap with orders–a $5.95 value! Use code freebar between now and 12/25/17 to redeem this offer! Don’t want soap? No worries! They will also just give you a $5.95 credit to use with any order! Order here. While I have been making my own foaming liquid hand soaps for many years now with just Castile soap and water, mine has never left my hands feeling soft and moisturizing. 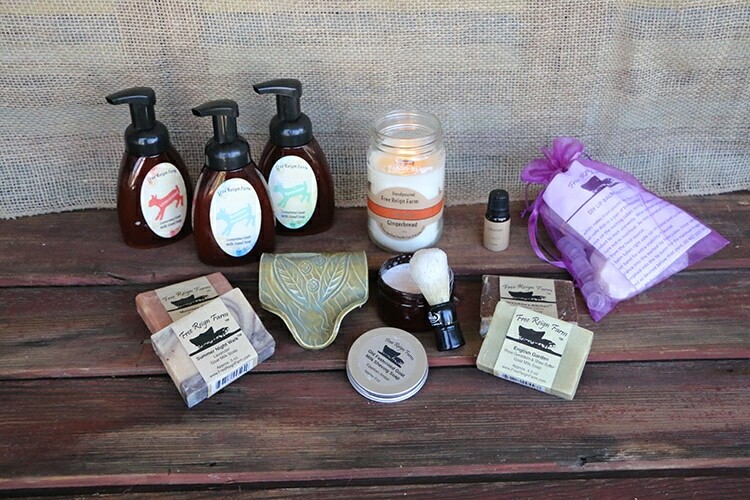 But Free Reign Farm’s soap does–and I am assuming it’s because they use a gentle goat’s milk formula. The soaps also leave a wonderful scent–without any harsh chemicals! 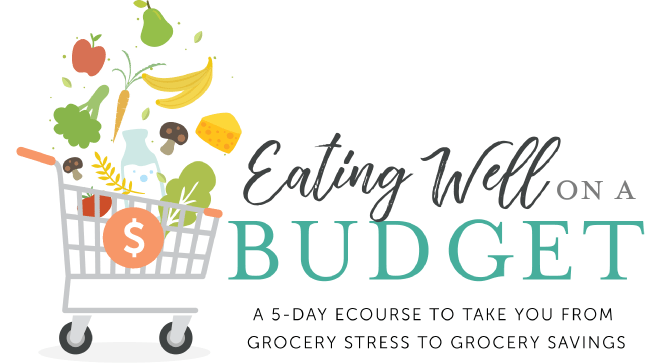 I’ve really enjoyed using this new product in our home! I fell in love with wood wick candles when I was a newlywed, but, alas, the brand we purchased back then is pricey and full of toxins. So I went years without using any wood wick candles–until Free Reign Farm introduced theirs last year! We have loved using these nontoxic candles for the past year, and they make lovely gifts! 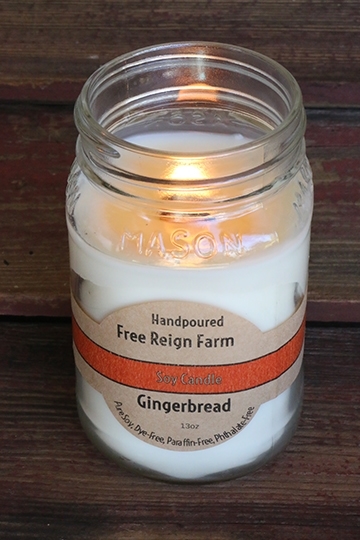 Free Reign Farm offers candles in a variety of scents. I’m partial to the holiday scents, though! 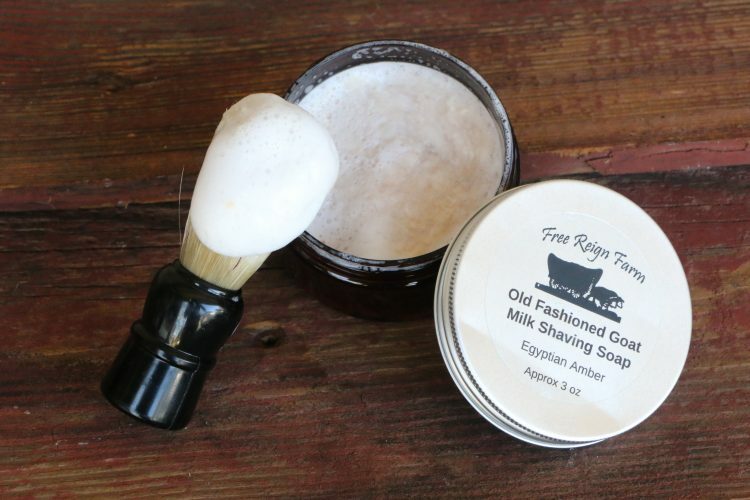 Will has been using Free Reign’s shaving soap set for several years now. But I have to tell y’all something funny: I’ve simply been using their goat’s milk bar soaps for shaving. Why? Well, they do the job, and I am a fuss-free girl who hasn’t used shaving cream in years. It never occurred to me to try Will’s shaving soap until I was working on this review. Y’all! The shaving soap and Italian brush work up an amazing lather! I have been missing out by not using this to shave my legs! With all that said, the shave soap set would be good for a man or a woman! It’s a great gift idea for your husband, for sure (and just “borrow” some when you’re shaving your legs!). So you know the goopy mess that accumulates in most soap dishes? It doesn’t happen in this one! I promise! 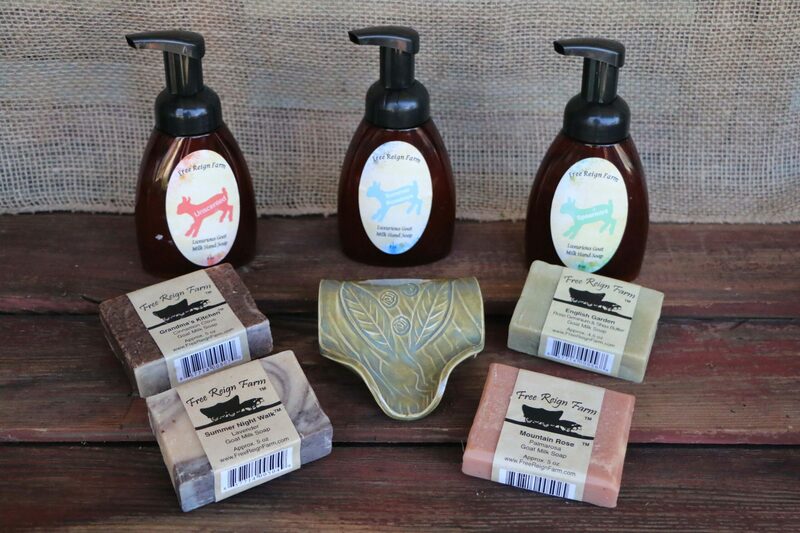 For years, Free Reign Farm worked with artisans to try to solve the soap dish dilemma, and they finally found a solution! No more mess, no more cleaning out the soap dish, simply place dish at the edge of the sink and excess water pours down the spout into the sink! The bar dries quickly making it last longer and you never have to clean a sloppy soap dish mess again. These dishes are crafted of hand thrown pottery by Yolanda Hardin and are each unique. They come in a variety of muted, natural colors, with varied detailed designs… never fear you still get to choose the soap that comes with it for a handcrafted, highly functional and gorgeous gift set. Will and I bathe with these soaps and have for years. These soaps are made with the maximum amount of farm fresh goat milk per bar (36 percent), natural colors from herbs and clays, pure essential oils, non-GMO oils, and from a true 1800s base recipe. 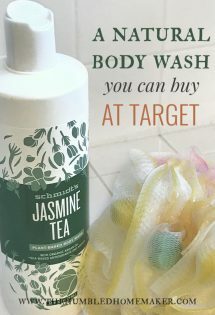 We will never go back to body wash or conventional, store-bought soaps again. Plus, Free Reign is giving ALL of my readers a FREE bar of soap with any purchase! Use code freebar to get the free bar–or simply get $5.95 off your order! Shop here. This is another fun, new item Free Reign is offering. Have a knack for DIY items yourself? Prefer to make homemade gifts? The lip balm kit will allow you to do just that! 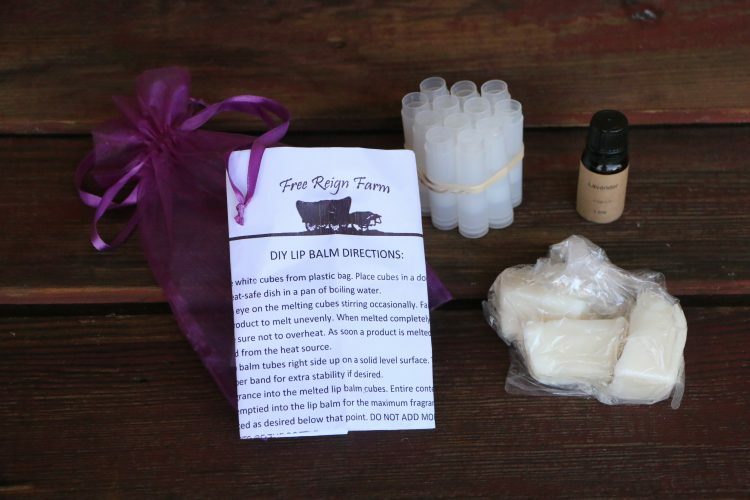 It comes with everything you need to make a set of homemade lip balms! This is an awesome giveaway. I love goat milk soap. True story, last year I broke out with something and trips to the doctor and the dermatologist just left me with another prescriotion. Finally, I took matters into my own hands and made my own washing detergent and got some goat milk soap and used it. Within two weeks it had cleared up. Awesome I will try that. 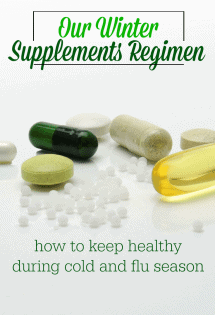 Also Do you have a copy of The Essential Oil Mythology part 1. , if so please email it to me. I am new at the humbled homemaker and don’t know how to contact Erin. My email dlwillingham22@gmail. Thank You so very much. I would,absolutely love to try these products I am disabled an have very sensitive skin. So good luck. That is an awesome testimonial about the soap!! We use it every single day! Thank you for sharing! I love Free Reign Farm! I had no idea their new JC shop was located just around the corner from where my mister works. I will definitely check that out! You should totally go in person! I wish I could! Two years ago I orders soap from them and absolutely loved it. As deer season approached I mentioned it again to my husband and once more ordered more which both my guys loved. I would highly recommend their products. Haven’t tried their candles yet though. Wonderful giveaway. Thank you for the opportunity. I love that they carry scents for both men and women! The phrase is FREE REIN not Free Reign. Good to see people named their company after a grammar mistake. No, it’s not a typo. The name is a creative spelling based on the fact that the Christian-owned business gives God free reign over their lives. That is where the name comes from. From their website: “We learned long ago that when you give God free reign over your life, anything is possible and it is always an adventure!” I love it!